Google Says "Don't Be a Glasshole"
Google is asking early adopters of its high-tech eyewear to please not be a "Glasshole" in public. 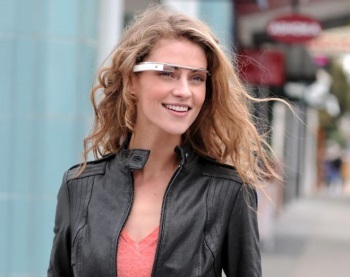 Google Glass is apparently the latest way for thoughtless jerks to be rude in public. Okay, maybe that's a little much, but the newness of the technology and the fact that you wear it on your face instead of carrying it in your pocket makes it the sort of thing that can lead to unexpected complexity in social interactions. But have no fear, because Google's got your back. Google has posted a guide to polite behavior for Glass "Explorers," using the collected wisdom of some of its long-time users to create a handy list of "do's and don't's." "Do" things like use voice commands to keep your hands free, be an active member of the Glass community and ask permission before using your swanky super-goggles to take photos or videos of other people; and "don't" wear Glass while participating in high-impact sports and get irked or impatient when people ask you about it. But most important of all? Please, don't be a "glasshole." "Respect others and if they have questions about Glass don't get snappy. Be polite and explain what Glass does and remember, a quick demo can go a long way," the guide says. "In places where cell phone cameras aren't allowed, the same rules will apply to Glass. If you're asked to turn your phone off, turn Glass off as well. Breaking the rules or being rude will not get businesses excited about Glass and will ruin it for other Explorers." Perhaps I'm old-fashioned, but I can't help thinking that the whole guide could be condensed to that one simple admonition: Don't be a Glasshole. But I suppose if it was that easy, we wouldn't still be telling people to turn off their cellphones in movie theaters.